Retired--Now What? : Who Chooses to Lead? Welcome back. Early in my years in government, I had a mandatory course on leadership styles and behavior. It was one of the few courses I enjoyed, especially compared to the many I had on contracts and project management. Along with learning to give feedback, which I never quite mastered, and being exposed to a raft of other long-forgotten tips, my leadership style was characterized as “coaching.” That was hardly surprising since I’d spent the previous 20 years in academia teaching. I thought of that course, not the style or behavior of our country’s leader, when I saw a study on leadership. 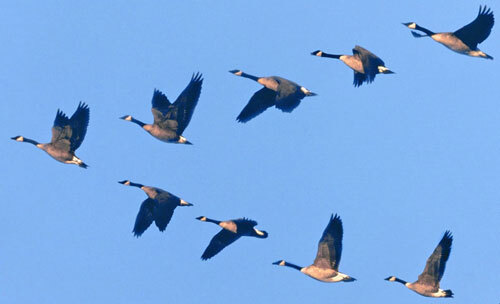 Researchers from Switzerland’s University of Zürich and ETH Zürich examined what determines someone’s willingness to lead, to take responsibility for others. The researchers collected a variety of behavioral, computational and neurobiological information from test participants. For a baseline task, 40 participants completed 200 trials selecting either a risky or a safe gamble based on the probabilities of success and the possible gains or losses. In 140 of the trials, only partial information regarding the probabilities was provided. 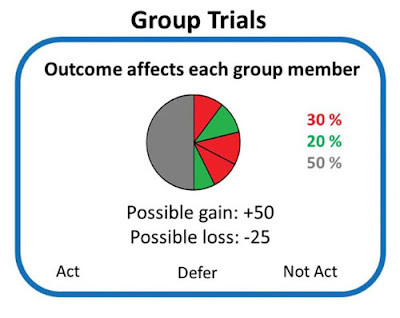 Placed in groups of four for a delegation task, each participant was later presented the same choices from the 140 trials in both self trials and group trials (280 trials). For these trials, participants had the option of deferring the selection of the risky or safe gamble to their group, which collectively had more information regarding probabilities of success. 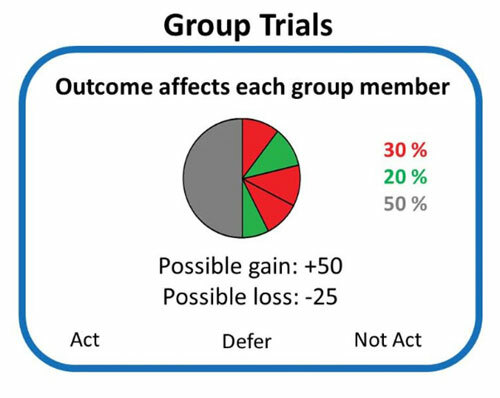 In the self trials, only the participant’s payoff was at stake; in the group trials, the selection determined the payoff of every group member equally. The researchers also collected functional magnetic resonance imaging (fMRI) data on a separate sample of 44 participants as they performed the same decision-preference tasks. In addition to the decision-preference tasks, participants completed questionnaires on two widely used scales that predict leadership positions. The researchers found no consistent correlation between the decision-preference measures and leadership scores. Preferences for decisions and control over self or others did not explain individual differences in leadership scores, suggesting the study should seek different motivational forces. They focused on a critical difference between self and group trials: the responsibility for others’ welfare. Deferrals, or what the researchers termed responsibility aversion, increased an average of 17% from self to group trials. That varied substantially across individuals (standard deviation of 43%). Most important, participants who deferred less--who showed lower responsibility aversion--had higher leadership scores. To validate the association between responsibility aversion and leadership, the researchers collected factual expressions of the participants’ leadership behavior (mandatory military service rank, leadership experience in scouts’ organizations). Responsibility aversion was the only measure that significantly correlated with these expressions of leadership. Computational modeling of the decision-preference group data and functional connectivity modeling of the fMRI group data confirmed that responsibility aversion is a key determinant of the willingness to lead. They postulate that responsibility aversion is driven by a cognitive process that reflects an increase in the demand for certainty about the best choice when others’ welfare is affected. The researchers conclude that high-scoring leaders’ preferences for risk, loss and control can vary substantially. The unifying element is that the leaders calibrate their beliefs about decision-making similarly across self and group trials. 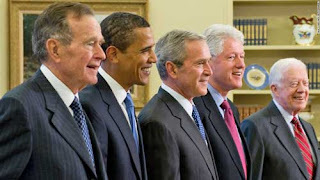 An authoritarian leader (think Trump) with a strong preference for control would have a very narrow deferral threshold in both self and group trials; an egalitarian leader (think Obama) with a strong preference for consensus would have a rather broad deferral threshold in both self and group trials. The study’s findings provide a conceptual framework for an individual’s decision to lead--to assume responsibility for others’ outcomes--as well as insights into the cognitive and neural mechanisms driving the choice.